Tenergy is known for creating the most innovative products to bring quality and convenience to any household. This is the most accurate body fat scale currently on the market, as well as the best body fat scale of 2019. We love that it can track your body composition through a user friendly app. 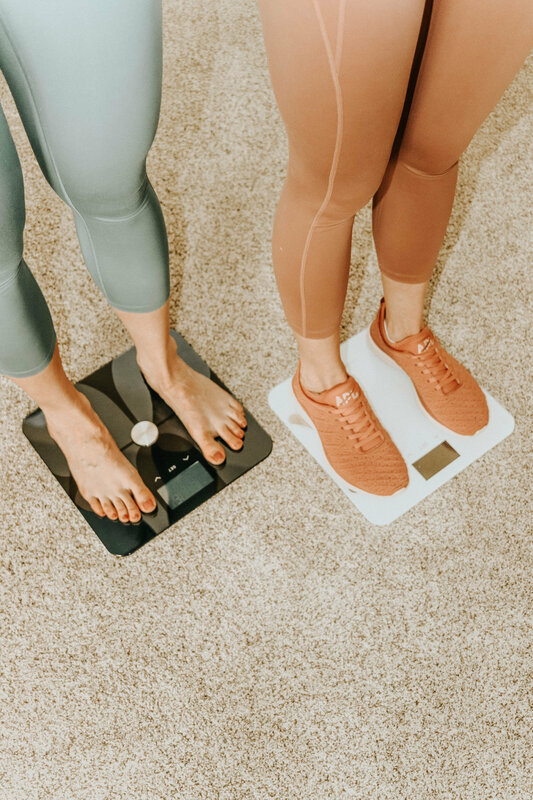 We can also share this body scale between the two of us and get individual readings and results since the scale saves up to 10 users’ information. is that when we enter our height, age, etc. the scale outputs our: body fat percentage, eight, BMI, Muscle, hydration, Bone Density, BMR, Body Age, Visceral Fat, Subcutaneous Fat, Standard Weight, Body Fat, and Muscle Weight. We are thankful that we live in a time when we are able to track and measure our health so easily. We truly believe everyone needs to do the same, and get this scale for health benefits. It would make an amazing gift for the Holidays as well! Our discount code 20% Off: dalydose20 (ends 12/17/2018) *Order before then and have it arrive before Christmas for Amazon Prime Users. 2018 Goals & Urban Skincare For the Win! We usually do not make New Year's Resolutions or goals, but this year, we made a couple this year. The main reason for not normally making these resolutions is because we want to be able to stick to everything that we do, and don't want to put any pressure on ourselves if we don't. Nevertheless, goals can be a great way to stay motivated and focused, thus, here are the two that we made for this year. This goal can pertain to anything in life, although, for us, being Social Media Influencers, it can be really easy for us to get caught up in everything around us and what other people are doing. It's sometimes hard to focus and be appreciative for the everyday moments and things that we can sometimes take for granted. Even just the simple things, like the many privileges and opportunities we have on a daily basis. So, with this said, we would really love to just enjoy the little moments more- moments with family, friends, new friends, adventures, and just new opportunities to grow as a person and explore the good things that this world has to offer. In our Industry, comparison is always present and can become a burden. Comparing ourselves to other bloggers, models, and influencers in all forms sometimes occurs. So another goal for us, would just to feel more comfortable in our own skin and be more accepting of ourselves and individual uniqueness. One way to do this, for us, is to have outwardly beautiful skin. Skincare has never been a huge issue for us, but since we are getting older, we are trying to step up our beauty/skin regimen. Having beautiful skin should come from the inside and shine outwardly, and we would love this to improve. If this leads to us wearing less makeup and feeling more confident in our own skin, that would be an amazing bonus! Getting the opportunity to collaborate with the sweetest ladies from Urban Skincare, we had the most amazing facials that toned, soothed, and rejuvenated our skin. It really was an amazing feeling to wake up the next morning having soft, hydrated, and illuminated skin! The Urban Skincare ladies started off our facials with the epicuren clear complexion treatment which helps to fight acne and oil production. With a combination of exfoliating enzyme, probiotic propolis and bentonite clay, this treatment helped to purify and detoxify our skin. The microdermabrasion and hyfrequency machine were such a special surprise! To finish our facials, priori natural mineral makeup was applied. We definitely recommend going to these wonderful ladies, Erin and Larissa, for all your spa and skincare needs- you will not be disappointed! We hope you all are having a wonderful start to the New Year, and we hope our New Year's goals inspire you in some way! 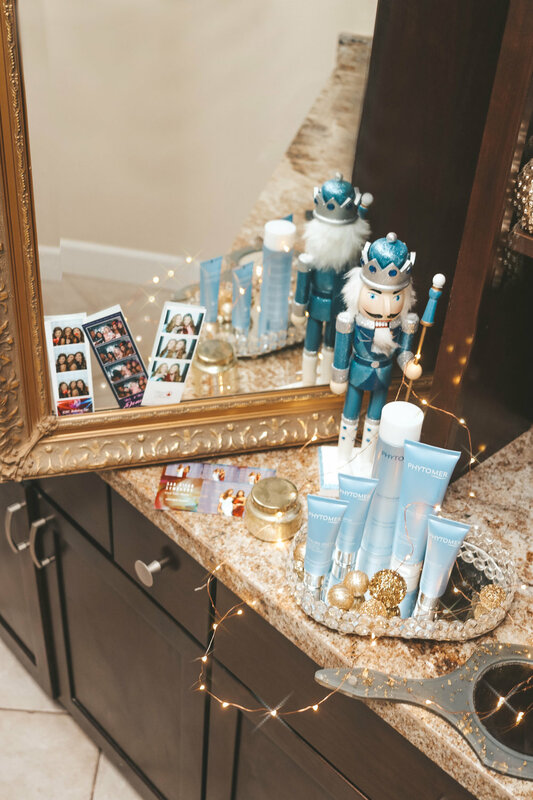 Using Phytomer Skincare was an amazing experience for us. We got to try many products from their Face Skincare line. From the Purifying Cleansing Gel, Cleansing Foaming Cream, Flawless Skin Tonic, Blemish Solution Fluid, and Vegetal Exfoliant, these products sure did wonders for our skin! It's truly amazing how Phytomer's innovative research has revealed a way to reinforce the skin's water reservoir with an original mixture of marine ingredients that can be found in all their products. Washing our face with the Cleansing Foaming Cream is so refreshing because of how clean it makes our skin feel. The Flawless Skin Tonic is perfect to use before we apply our makeup because it creates a clear area to work on. To wash away any dead skin, the Vegetal Exfoliant works wonders. After this, we will usually put on the Purifying Cleansing Gel to cleanse and purify our skin. Overall, we hope you all try Phytomer Skincare and add it to your daily beauty and skin routine. We had the privilege of getting a massage and facial at Spa Kingston in San Diego. Their philosophy is believing that "the inner beauty we all possess can be paid forward to others within our community and beyond. We had an ideal experience because we truly felt that our masseuses and aestheticians wanted to help us as much as possible, and they were simply amazing! The Facial Royale was incredible because they perfectly customized our facials to meet our skin's needs. Beginning with a cozy lavender foot bath followed by a customized deep cleanse, rejuvenating facial steam, nourishing mask, antioxidant enzymes and fresh grapefruit sugar foot scrub with a light foot massage and ends with a hypnotic face, neck, arm, head and shoulder massage left us feeling refreshed and glowing. Our therapeutic massages were a relaxing, full-body massage meant to enhance our well-being. We were able to customize our pressure level, modality and essential oil of our choice during the service. Overall, we could not have asked for a better spa day experience than what we had at Spa Kingston. A friendly atmosphere with exceptional staff and professionals makes for perfection!